In the first phase of a project whose eventual purpose is to conserve the WCS Archives’ collection of nearly 50,000 photographic negatives, the assessment of some 10,000-plus of these has been a mostly shared endeavor between myself and another intern. Dating from 1899 to 1946, this first batch of negatives is of interest from more than one perspective: not only do the images constitute a visual timeline of WCS’s history and the histories of zoos, aquariums, and wildlife conservation, the negatives themselves can also be seen as artifacts that represent milestones from within the discipline of photography. Among other things in the collection, we see the transition from the use of glass to film negatives, as well as early attempts at photo manipulation. After personally working with about half of these, I have become acquainted with the different phases of deterioration of both glass and acetate negatives and with the tremendous variety of animals that have passed through the Bronx Zoo and the New York Aquarium. There are also a significant number of images that document things such as events, architecture, notable figures, veterinary activities, and landmarks in WCS’s history, but the majority of the collection thus far is composed of animal images. While created principally for scientific and educational purposes, many of these photographs stand on their own as elegant portraits of early zoo and aquarium inhabitants. Most of the images from this phase of the project were created by Elwin R. Sanborn, New York Zoological Society Staff Photographer from 1899 to 1934. Sanborn started out professionally as an illustrator, having studied at the Art Students League in New York City. Before beginning his career at the Bronx Zoo he did magazine work, his area of expertise being wildlife illustration. 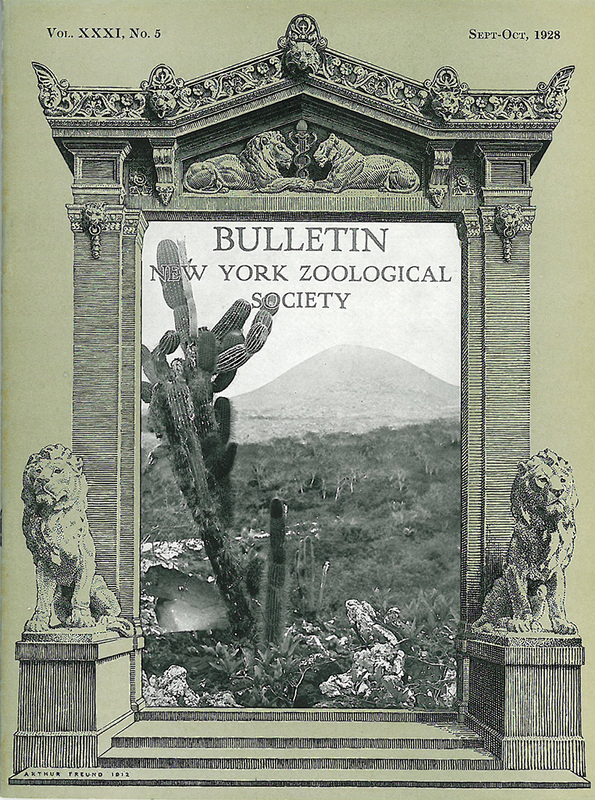 One of the zoo’s original employees, Sanborn eventually became editor of the Zoological Society Bulletin in addition to his photographic duties. During his tenure at the zoo, he participated in a 1928 expedition to the Galapagos Islands led by New York Aquarium Director Charles Townsend, in which over 100 giant tortoises were brought to the United States. His work also appeared in a number of NYZS publications. 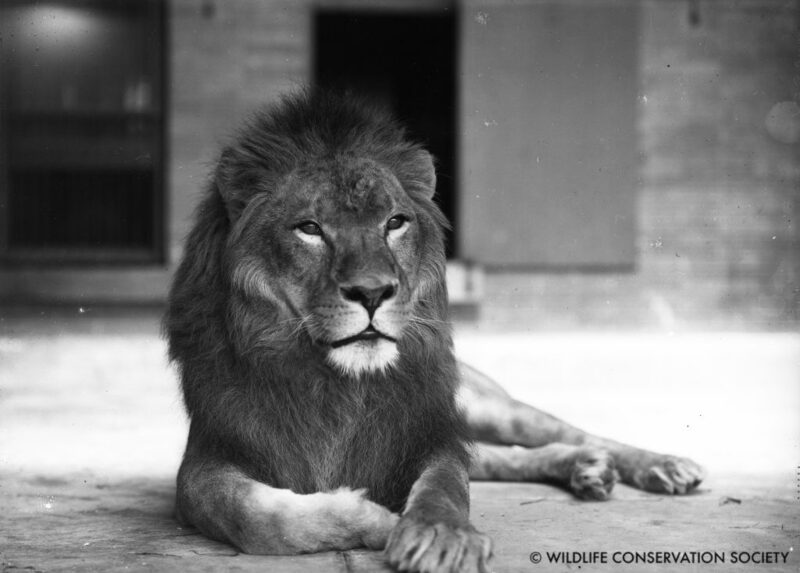 It was in 1901 that a photography department was first set up at the Society, with the purpose of documenting the zoo’s animals in the interest of science and for the enjoyment of the public. Sanborn would have overseen the changeover from glass to film negatives during his last years of service; the oldest glass plate is from 1899, and 1932 is the last year that they appear in the collection. After examining thousands of these black and white images, it is impossible not to become attuned to even the smallest of discrepancies. Most of the irregularities consist of stains, scratches, cracks, patterns of mold growth, and other signs of deterioration. But there have also been instances of other unusual phenomena. Perhaps the most compelling discovery was of a group of 12 glass negatives that shared a striking anomaly: they all appeared to have been deliberately altered. 11 of them were from 1932; of these a few had areas where the emulsion looked to have been intentionally rubbed off. 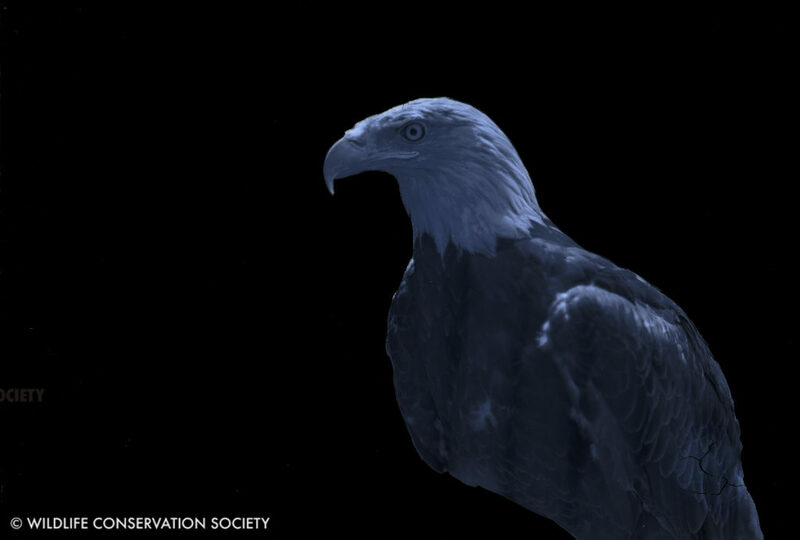 The rest consisted of images of turtles and snakes tinted red. 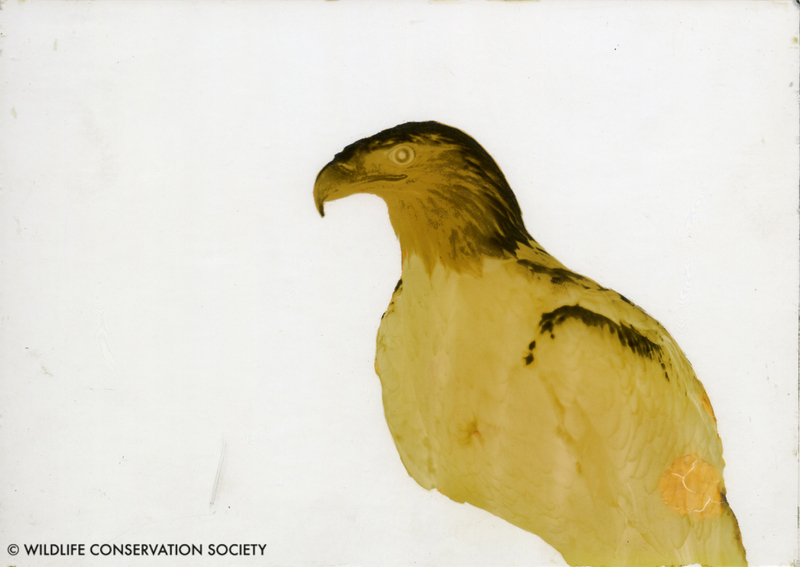 Then there was a single plate, from 1929, of a bald eagle in profile; all the surrounding emulsion had been removed. The emulsion that remained was yellow in color, which may have been a consequence of deterioration. Scan of glass plate from which above image was created. In 1929 and 1932, NYZS’s Department of Publication and Photography had a small staff consisting of Sanborn, assistant Annie R. Newman, and assistant photographer Edward R. Osterndorff. Though it is unclear as to who experimented with the application of color and removal of emulsion from these plates, it is not unreasonable to assume that it was staff from within the department of photography. Photographic retouching was not a new technology at the time that these negatives were created; it had been in practice since shortly after photography was introduced in the nineteenth century. Photo manipulation has a range of uses, including a history of its use as a tool of deception, as well as a form of artistic expression. While the alteration of photographs may serve various objectives, in these samples from the collection it is not always clear what the motive was. In some instances it appears that whoever was involved in retouching the negatives was trying to apply color in accordance with the naturally occurring patterns on the animals in question. 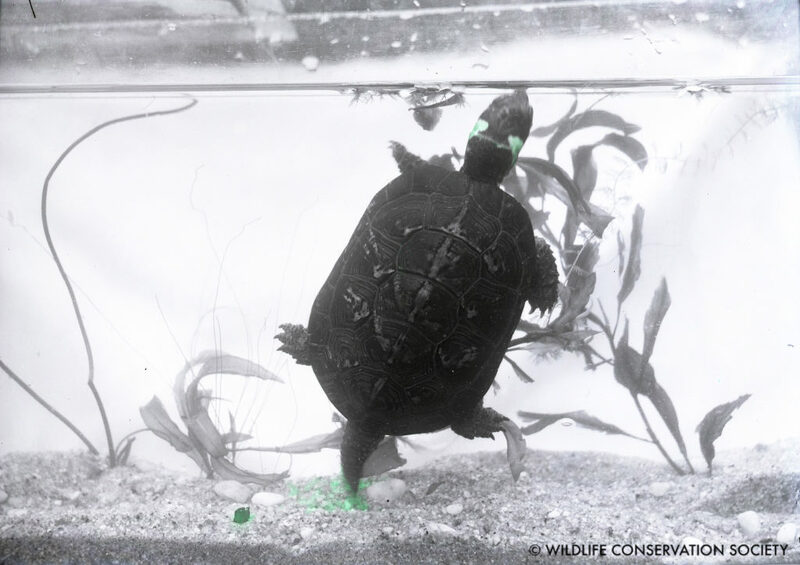 A Muhlenberg’s turtle has bright coloring behind the eyes, and a scarlet snake has red bands; this is reflected in the tinted negatives. 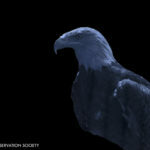 In the case of the bald eagle, one can only speculate as to the reason for the removal of the emulsion. This may have been an aesthetic choice, an attempt to salvage a damaged negative, or something else. 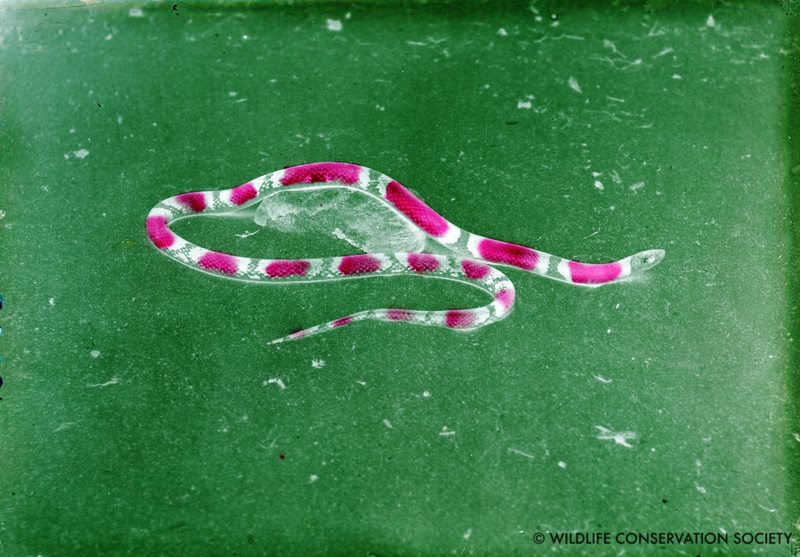 Scarlet snake at the Bronx Zoo, March 1932, showing retouched coloring to the glass plate. As the first stage of this project comes to a close, it has been intriguing to get a glimpse of how the first NYZS photographers dabbled in image manipulation. It is fortunate that negatives over 100 years old have made it to this century intact, and the WCS Archives eventually hopes to digitize the collection to extend its accessibility into the future. This post was written by Marina Obsatz, who interned and worked with the WCS Archives on the photo preservation project between January and August 2016. This is wonderful to read! I’m a volunteer at Woodlawn Cemetery, Elwin Sanborn is buried there. I’m hoping to blog about him soon! 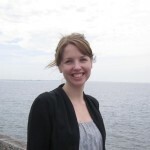 I will link to your page; this is great work that you’re doing!